Leanne C. McGrory, Partner. Leanne’s practice focuses on matters of corporate and special entity law, including limited liability companies, statutory trusts, real estate investment trusts, limited partnerships, and public benefit corporations. Leanne provides advice and renders legal opinions in the context of a variety of transactions, such as structured financings and reorganizations, for a worldwide array of businesses from startups to Fortune 500 companies. Leanne received her B.A. degree in conjunction with the Honors Program at the University of Delaware and her J.D. degree from the Georgetown University Law Center. She is a former law clerk to the Court of Common Pleas, Philadelphia, Pennsylvania. 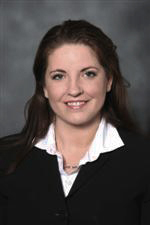 She is admitted to practice law in Delaware and Pennsylvania and before the U.S. District Court for the District of Delaware and the U.S. Supreme Court.